Birds, birds, birds. There's something so fascinating about them, and most kids LOVE them! These Books About Birds are all a little different-- some will teach your kids information, some are beautiful to look at, some are non-fiction, and some just tell silly stories. We enjoyed all of these books as part of our Bird Theme Preschool Week, and hope that you enjoy them, too! 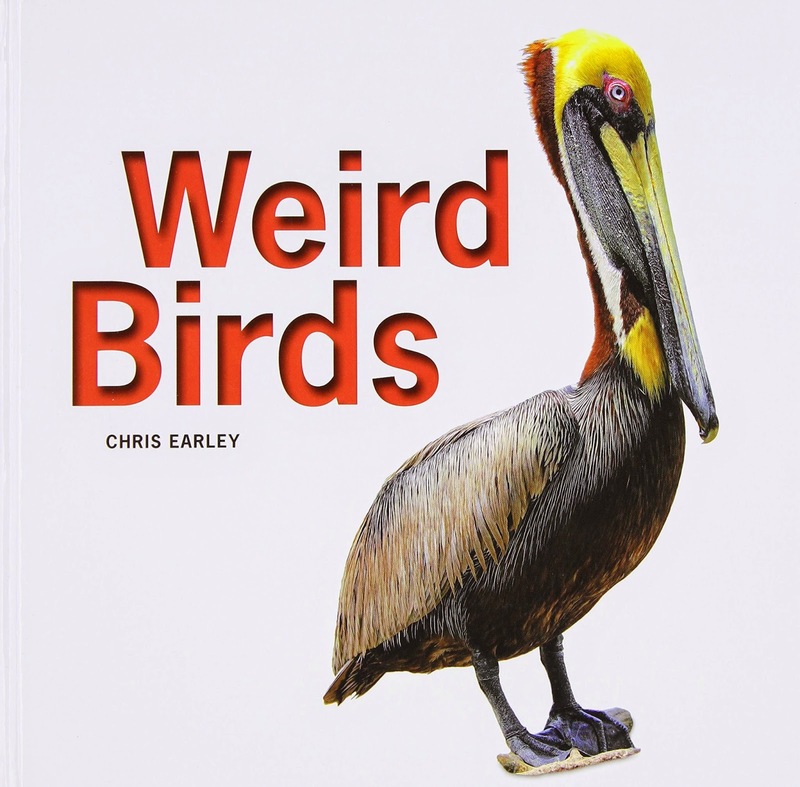 Weird Birds describes some of the more unusual birds in our world. Each page features a large, crisp photograph of a bird, along with a short paragraph about what makes it unique. Even if you don't feel like sitting down to read about the 59 featured birds, your toddler, preschooler, or elementary child will love flipping through the pictures. Bluebird's friend, the wind, has gone missing. Bluebird is convinced that cannot fly without the wind, so she goes searching. She looks for all the places where the wind usually is-- rustling willow branches, flipping newspaper pages, helping toy boats race across the water. Finally she realizes that she has flown all over the city on her own! I love books that make you think of things in a different way, and this one fits the bill. The artwork is beautiful, as well. Your older toddler or preschool will enjoy this choice. 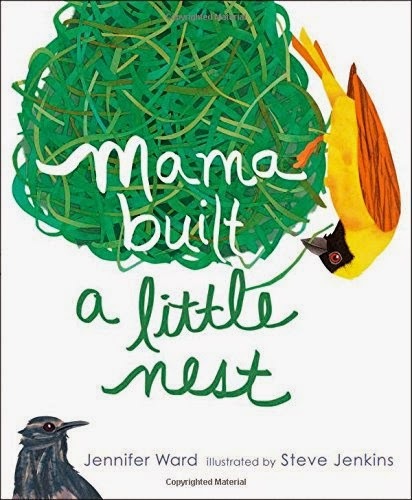 Mama Built A Little Nest is by far my favorite bird book. 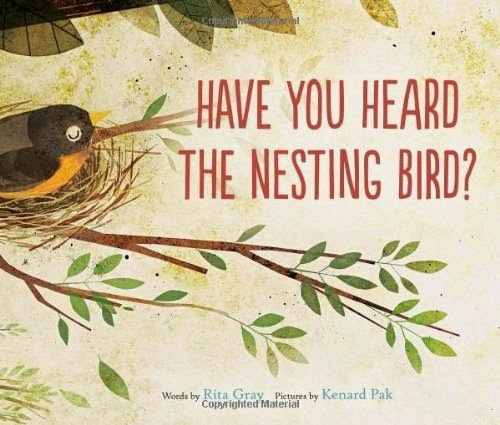 In cheerful and succinct rhymes, it tells about all the different kinds of nests that birds make. I love that it is so easy and pleasant to read, but it is also educational. In addition to the rhyming main text, there are little blurbs of additional information on each page. The artwork is beautiful, as well. Your preschooler or elementary child will love this choice (and they'll learn a lot from it as well). 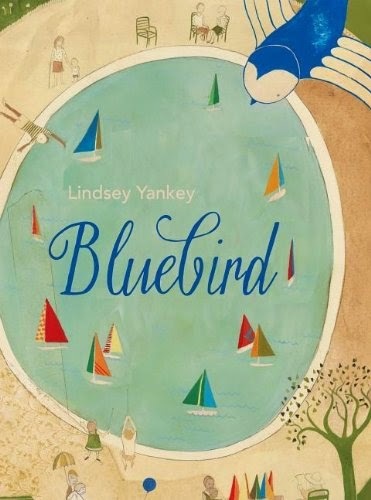 In this beautiful and whimsical book, a boy and girl wonder why the nesting bird (a robin) is so quiet while all the other birds they see are so noisy and active. 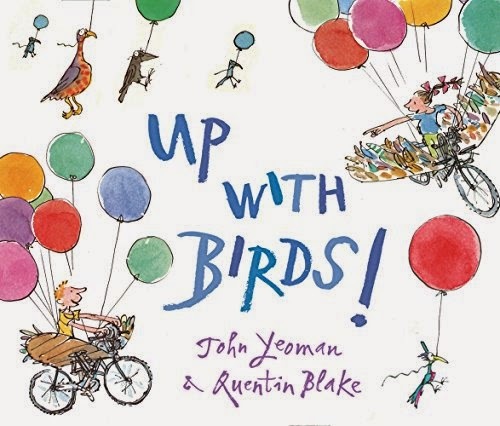 Throughout the story, it describes the different sounds that birds make, and ends with the birth of new little chicks! The artwork in Have You Heard The Nesting Bird? was my favorite of all the bird books we looked at. I recommend this story for your toddler or preschooler. 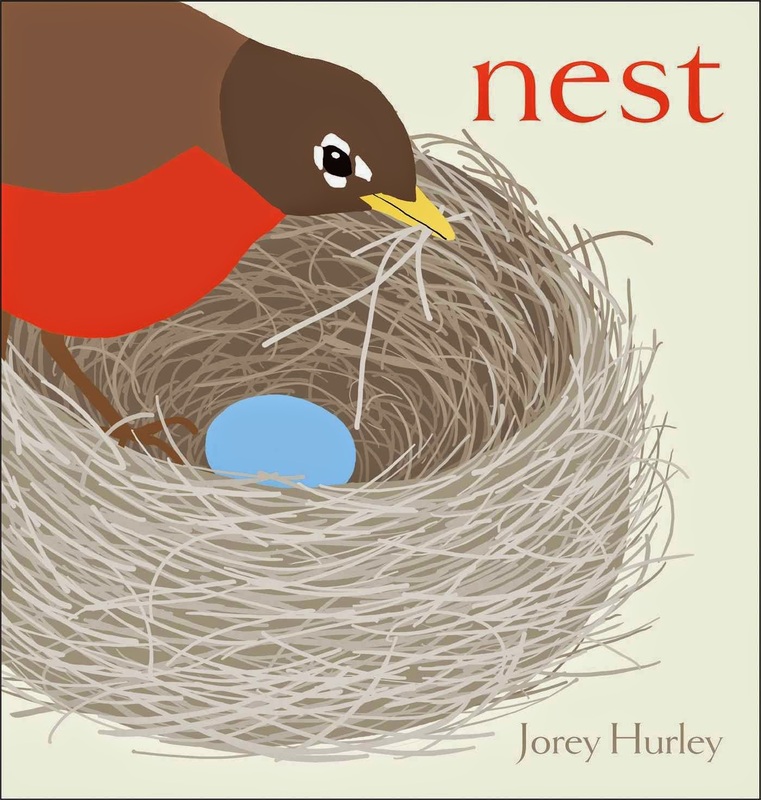 Nest is the perfect bird book for your baby or toddler. With one simple word per page, it tells the story of a birds life, starting at the very beginning. The illustrations are crisp, clear, and beautiful. This one is short and sweet! What a wonderful book! 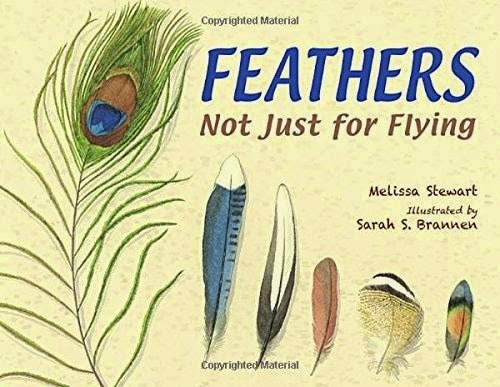 This book is about the many different functions of feathers-- birds use them for warmth, for flying, for cushioning, for shade, for camouflage, and for so much more! The author compares feathers and their functions to different everyday objects that humans use in order to make the information more accessible and engaging. The illustrations in Feathers: Not Just for Flying are just as important as the text, and do a great job of showing what feathers do. I recommend this book for preschoolers and elementary children. What a funny story! In this outlandish tale, birds haven't yet learned how to fly; instead they are crowded all over the ground and in people's homes. The Fflyte family creates flying machines to get up in the air, away from the birds. In the process, the birds learn that they themselves can fly, too! Up With Birds! is just plain kooky, but a delightful tale that your older preschooler or elementary child will love. What a fantastic book! Little Sammy, the Wilson's warbler, is migrating from Northern Canada all the way to Panama for the first time and he's not quite sue how to do it. Along the way he meets lots of other animal friends who tell him about their migration patterns and methods. 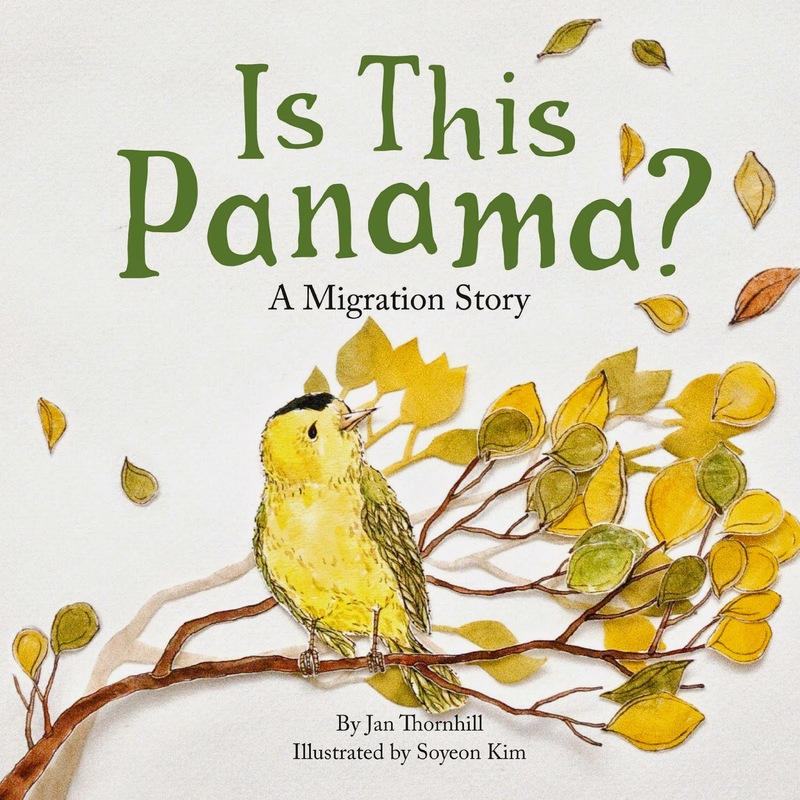 Sammy eventually makes it to Panama, and in the process he teaches young children lots of great information about how and why animals migrate. This book is packed with information, but is written in such a sweet and engaging way that children may not even realize that they're learning! It is a bit long, so I would save it for older preschoolers or elementary children. 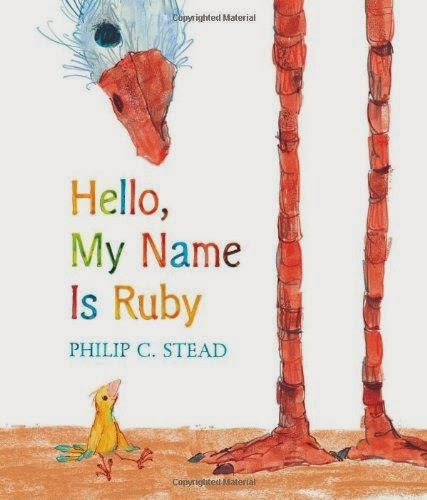 Ruby is a sweet little bird who is trying to make friends in the world. She is very outgoing and introduces herself to everyone. She meets birds that are just like her and birds that are very different from her. This book is a great way to encourage children to reach out to others. It is a very simple story, but shows how even little people (or birds) can take the first step towards making a new friend. Toddlers and preschoolers will enjoy this book. 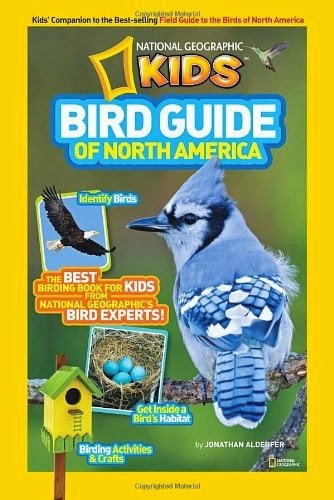 This kids' bird guide is a good resource to have around if your child is interested in birds. It is certainly more friendly than the traditional Audubon field guides, but it is not the kind of thing you would sit down and read to your child in one sitting. It does have bright, clear pictures that you can use to help identify birds in your yard or on a hike, and provides some interesting information about the birds as well. It doesn't have a huge selection of birds, especially for each individual region. If you have an older preschooler or elementary aged child who is really into birds, then Birdology is a good book to take a look at. It goes beyond the basic bird information that you find in most children's books, but is still easy enough for children to understand. 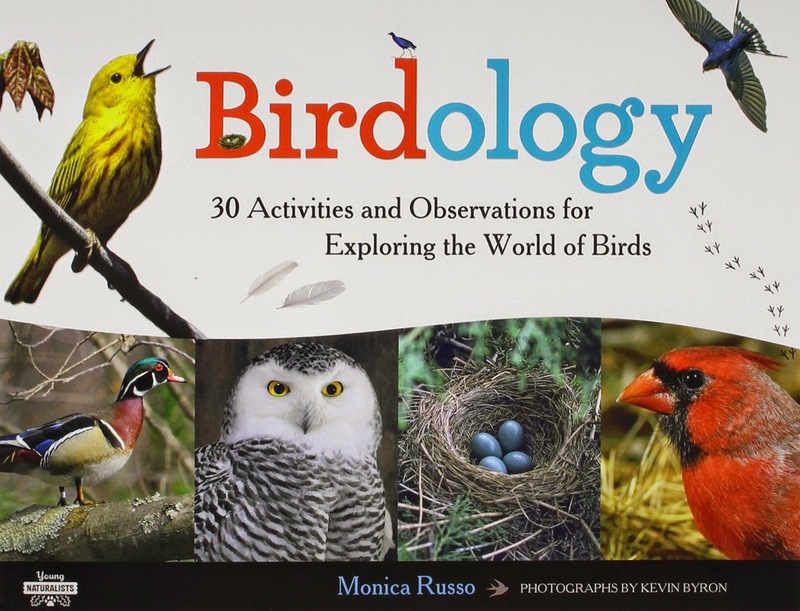 Russo provides great details about different kinds of birds, as well as lots of activities and suggestions for how to learn more. There are crafts, as well as listening and observation activities. At over 100 pages with small text, though, it is not for your average young child. 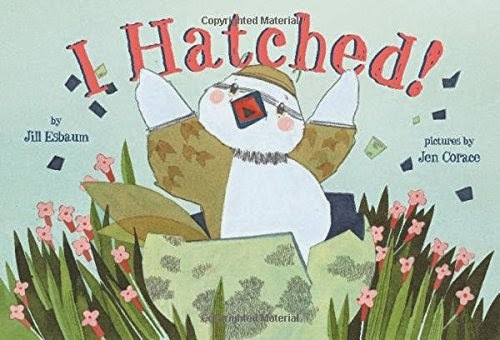 Your kids will love this sweet little book, told from the perspective of a just hatched killdeer bird. The chick's enthusiasm is contagious, as he flits, runs, sees his reflection, learns to peck for food, and welcomes a new sibling. The cheerful and simple text makes this a good choice for toddlers and preschoolers. For lots of activities to do for a bird themed week with your preschooler, visit the What Can We Do With Paper And Glue Pinterest board below! 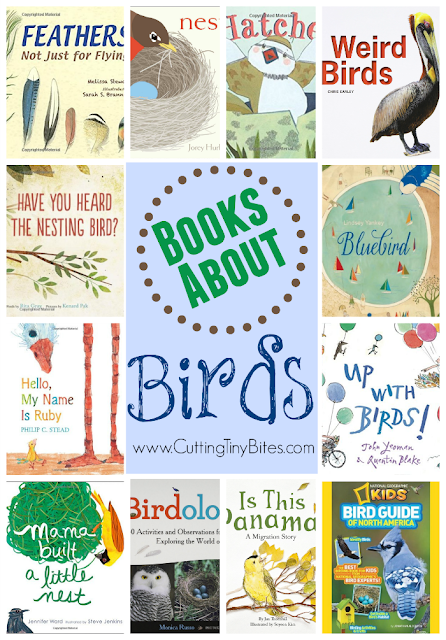 Book list about birds for kids. Choices for toddlers, preschoolers, kindergartners, and elementary children with brief reviews of each.